Have you ever wondered what it takes to become a stunt performer on the big screen? Well, for starters you need to be comfortable with setting yourself on fire, jumping off buildings and of course, understand a bit of science! We speak to Heather Burridge, to find out how she became a science-loving stunt woman. 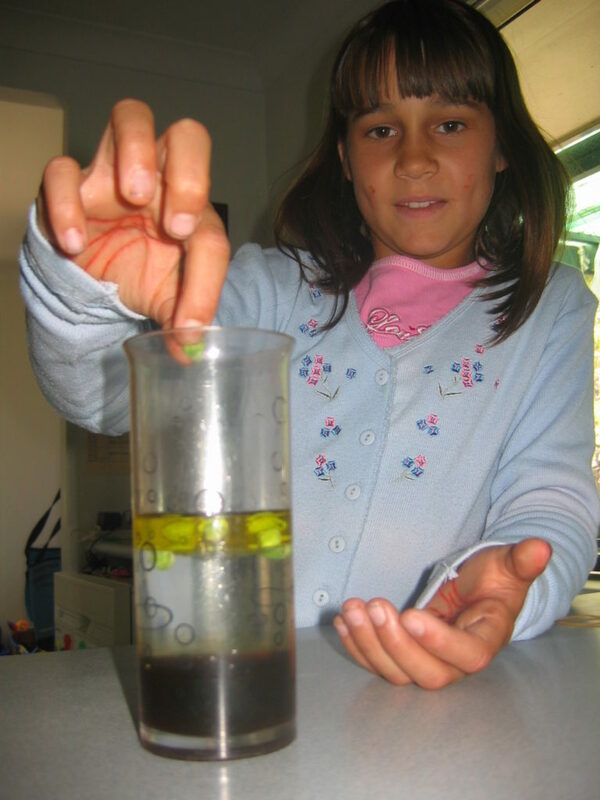 Heather grew up with a thirst to explore, becoming a Double Helix subscriber at just eight years old. A passion for science followed Heather through to university, where she started a double degree in engineering and science. But she quickly realised her true passions lay in acting and more unexpectedly, stunt performance. “I knew I wanted to do acting when I left university,” says Heather. “But at the time I didn’t know stunts was a viable career.” Heather eventually got a role that needed weapons training. She found herself at a stunt facility taking classes and mingling with professional stunt performers. From there, she achieved her Australian Stunt Grading Qualification and the rest is history. 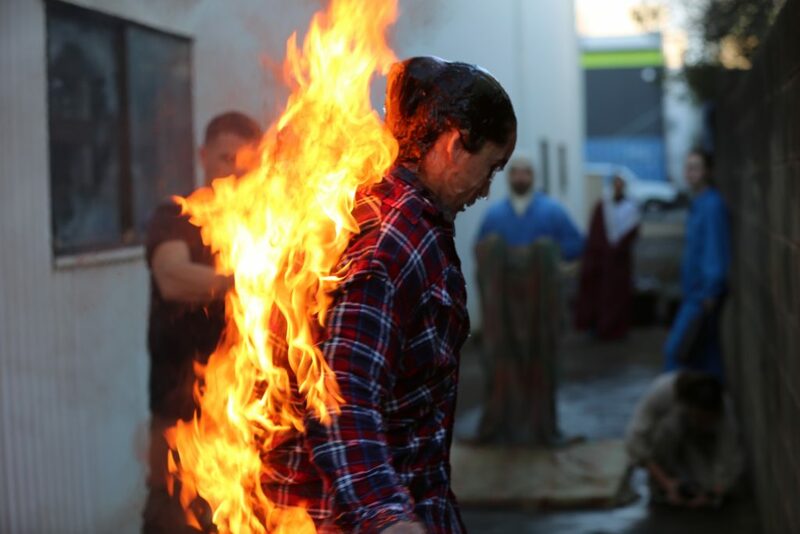 When you think of a dangerous movie stunt, being set on fire may come to mind. But through the use of chemistry and rigorous safety procedures, Heather insists it’s much safer than it seems. The secret behind this stunt is preparation. The performer wears protective clothing to cover most of their body. To protect everything else, a fire retardant gel covers the stunt performer. The fire retardant gel starts out as a powder that is mixed with water. The superabsorbent particles take in up to 100 times their weight in water, creating a gel like consistency. During the stunt, the gel acts as a protective coating, absorbing heat produced by the flames. Maths and physics is a key component of any movie stunt. Whether that’s through the calculation of speeds and braking distances for a car stunt, or understanding the physics of projectile motion while stunt rigging. Stunt rigging is the control of wires, ropes and machinery used for visual effects. It’s often used when imitating flying or being thrown from an explosion. Getting the stunt right involves heaps of calculations to work out where to rig ropes and how hard to pull on each. But it’s worth it to make the stunt as spectacular as possible, and also to keep your stuntwoman safe! Whether she’s engulfed in flames during a bus explosion or attacked through an on set gang fight, Heather insists being fearless has nothing to do with her career as a stuntwoman. “People ask whether stunt performers are fearless. Definitely not! Fear is what keeps you alert and tells you where your boundaries are,” Heather explains. This story was originally written for Double Helix magazine.